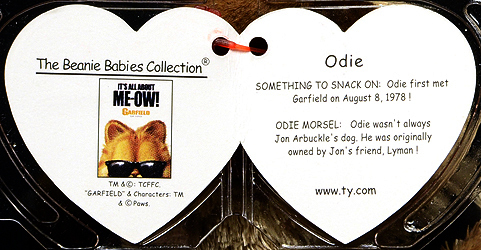 Garfield on August 8, 1978 ! 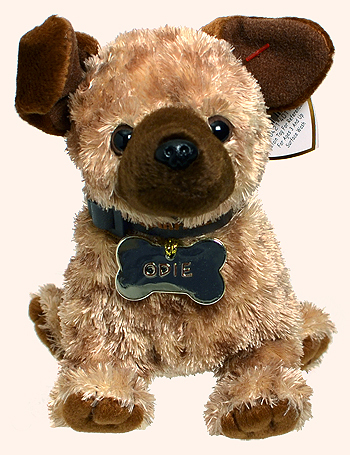 owned by Jon's friend, Lyman ! 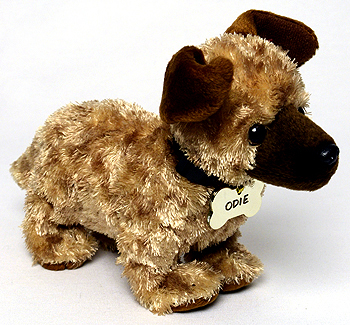 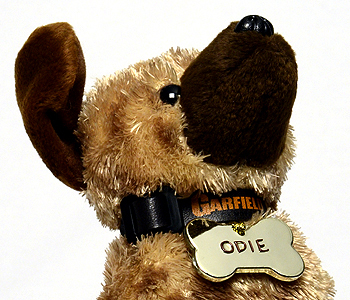 Odie is one of seven Beanie Babies Ty created for the 2004 Garfield movie. 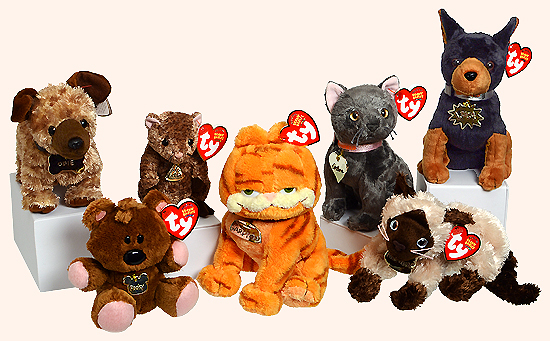 The other six characters are Arlene (style 40110), Garfield (style 40114), Louis (style 40113), Luca (style 40111), Nermal (style 40109), and Pooky (style 40155).